JACKSON, Miss. 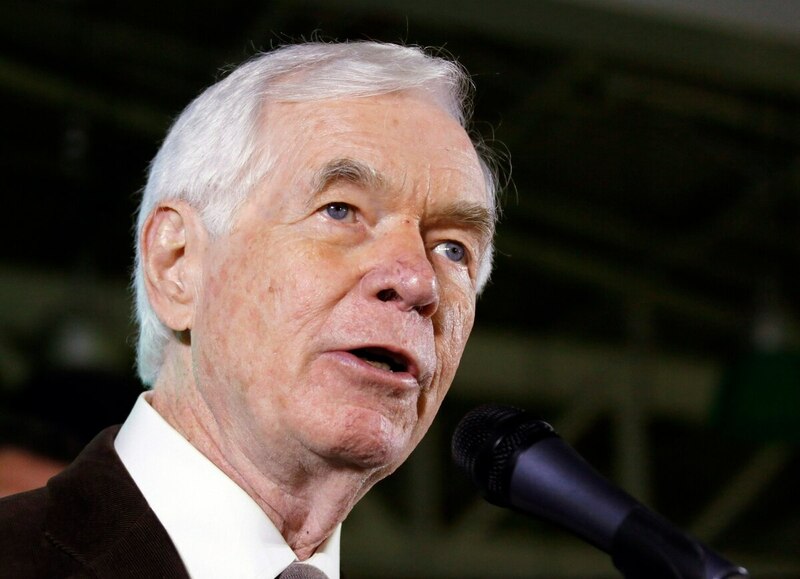 — The chairman of the Senate Appropriations Committee and its subcommittee on defense, Republican Thad Cochran of Mississippi, has announced he will resign April 1 because of health problems. The 80-year-old stayed home for a month last fall with urinary tract infections, returning to Washington in October to give Republicans the majority they needed to pass a budget plan.